Michael Franti & Spearhead announce today the launch of the first-ever music and yoga lifestyle tour, Soulshine, featuring special guest artists SOJA, Brett Dennen, Trevor Hall, and acclaimed yoga teachers such as Canada's Ryan Leier; additional yoga instructors TBA. Bridging daytime and evening experiences including live music, yoga, sustainable living activities and DJ performances, Soulshine is one of the most anticipated all-ages summer tours hitting 30+ outdoor amphitheatres across the country starting on June 19, 2014 in Santa Barbara, CA at the Santa Barbara Bowl and continuing until August 2, 2014 when it rolls through Nashville, TN at The Woods @ Fontanel. A bona fide family affair set at an affordable ticket price, Soulshine embodies the spirit of these performing artists' love of music, dance, yoga, the environment, and bringing the community together for a full-blown dance party! Artist interviews and hi-res photos are available upon request. With more than 15 million Americans practicing yoga, the Soulshine tour promotes healthy living with on-premise pop-up "yoga villages" providing 1,000 - 2,500 mats to concert-goers (number of mats differs for each venue; minimal additional fee is required for participation); "yoga villages" turn into an evening DJ tent, art gallery and local musicians platform during the main stage performances. Soulshine incorporates yoga networks from around the nation by inviting the founders, teachers and students of renowned studios to participate in the "yoga villages" in their respective cities. Italian-rooted and Napa Valley-based winery and restaurant, Ca'Momi, sponsors the tour as they share in the philosophy of sustainability and mindful presence in both business and personal relationships. Mantra and Origin magazines are the official media partners of the Soulshine tour. Afternoons on the Soulshine tour begin with a mass yoga and acoustic music jam with Michael Franti & Friends, led by some of today's most inspiring North American teachers. Each yoga session is designed for people of all experience levels, ages, shapes and sizes and features various artists participating side-by-side with fans. Afternoon activities then give way to four full music sets by the singular headlining acts. Franti has been practicing yoga for over 12 years, and has graced the covers of numerous lifestyle publications including Yoga Journal, Origin, Mantra and Yoga. Celebrated yoga guru Ryan Leier heads up the daily sessions, bringing his innovative style of assimilating ancient traditions with a contemporary flow to the masses. Based in Canada, and a yoga ambassador to communities across the globe, Leier is the founder of One Yoga studios and Vinyasa Yoga for Youth, a non-profit organization dedicated to empowering youth through the practice of yoga. Over the course of his acclaimed career, Michael Franti & Spearhead has earned a reputation as one of the most electrifying and ultimately unforgettable live acts in the business. 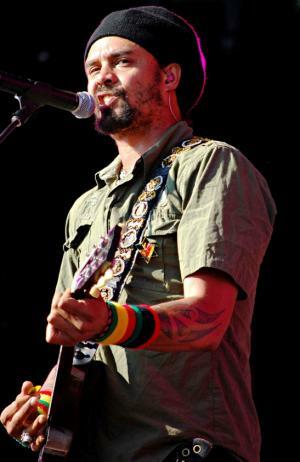 Michael Franti has sold more than 2.5 million singles of his hit song "Say Hey (I Love You)", and has charted his albums on Billboard's "Top 40" along with frequent appearances on David Letterman, Leno, Conan, Oprah, Ellen and CNN. In addition to being a leading social activist, Franti has diligently created and supported numerous environmental and humanitarian causes, which speaks to the evolution of sounds featured on his latest album, All People (Boo Boo Wax/Capitol Records: July 2013). In the foreground are colossal dance beats and dizzying electronic effects, while Franti's lyrical sincerity shines bright as he sings about what moves him most. On Tuesday, April 29, 2014, reggae sensation SOJA releases the track "I Believe" featuring Michael Franti and Nahko on ATO Records. Co-written by Franti, "I Believe" marks the first single on SOJA's forthcoming full-length album hitting stores later this year. SOJA's non-stop touring, headlining and selling out large theaters in more than 20 countries, sharing stages with the likes of Dave Matthews Band and Damian 'Jr Gong' Marley, have helped generate over 60 million YouTube views, 3 million Facebook fans, and an almost Grateful Dead-like international fan base. Over the past few years, they've sold more than 200,000 albums, including their critically acclaimed 2012 release, Strength To Survive (ATO Records), which made an impassioned call for unity and change with universally relatable songs about faith, hope and love. Northern California's Brett Dennen's 2013 album, Smoke and Mirrors, is the folk-pop singer-songwriter's strongest recording effort yet. Led by the cheerful, hook-heavy single "Wild Child," Dennen's fifth release shifts effortlessly from lilting, breezy pop ("You Make It Easy") to heartfelt balladry ("Only Want You"). His nostalgic "When We Were Young" urges maturing rock fans to turn up their radios and stay forever young. Dennen was named by Rolling Stone magazine as an "Artist to Watch" and, in 2008, Entertainment Weekly called him one of its eight "Guys on the Rise." Trevor Hall's career quickly broke through the music scene with a song placement on the Shrek the Third soundtrack, as well as Trevor joining a series of sold-out tours with artists such as Steel Pulse, The Wailers, Jimmy Cliff, Matisyahu, Michael Franti and Colbie Callait. Trevor's self-titled debut album peaked on Billboard's Heatseeker chart at #7 in 2009, he was named one of the "Top 20 New Artists" by Music Connection magazine, MTV named him one of the twenty emerging artists for 2010, and in 2012 CBS used his hit "Brand New Day" for the promo of their CBS This Morning show. His most recent album, Everything, Everytime, Everywhere, reached #80 on the Billboard "Top 200" chart. Trevor is scheduled to release a new album later this year.